Tap this page for UTS Invigilator Jobs 2018 Universal Testing Services Apply Online | uts.com.pk. 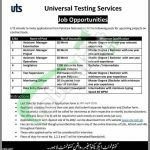 Here a wonderful good news is there from Universal Testing Services is looking to recruit the well-disciplined, caliber, capable applicants for the Upcoming Projects for which the number of the posts are vacant which includes (Assistant Manager Examination, Assistant Manager Project, Assistant Manager Operations, Invigilators, Test Supervisors, Monitoring Officer, Data Entry Operator). As these staff positions are vacant in Islamabad, AJK, FATA, Gilgit-Baltistan, Sindh, Punjab, Balochistan, KPK & Azad Jammu & Kashmir and for this purpose applicants from all above-mentioned provinces are welcome to apply. As I have disclosed the jobs before you and now its time to move on towards its eligibility criteria and detailed criteria is given below. For Assistant Manager Examination Master Degree with one year, relevant experience is required. For Assistant Manager Project Master Degree/Bachelor with one-year relevant experience is required. For Assistant Manager Operations Masters Degree/Bachelors with one-year relevant experience is required. For Invigilators Bachelors/Intermediate qualification is required. For Test Supervisors Masters Degree/Bachelors with minimum one year experience is required. For Monitoring Officer Masters Degree/Bachelors with minimum one year experience is required to apply. For Data Entry Operator Intermediate with minimum typing speed, 40 words per minute are required to apply. All those applicants are required to apply by downloading the application form along with deposit slip from UTS Site or can be had from the given link. Fill out the application form and pay the deposit fee of Rs. 200/ which is non-refundable and non-transferable. The duly filled application form should be submitted with attested copies of educational and experience certificates, CNIC and paid deposit slip should reach at the proper address. The last date for applying is April 10, 2018. Please don’t forget to mention your name and the post applied to the deposit slips. For more Government Jobs please visit our site JobsAlert.pk and stay in touch with this job page for more jobs and get employed in your own sector. Last Date For Apply: April 10, 2018. 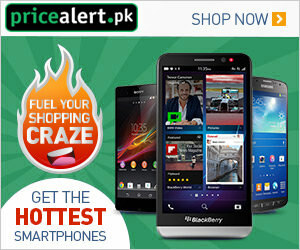 Address: Director Projects (Universal Testing Services (UTS) 278-A, Main Nazim-Ud-Din Road, F-10/1, Islamabad, Pakistan.